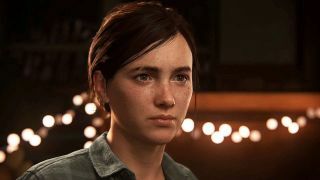 Last month, a retailer leak suggested that The Last of Us 2's release date would be sometime in October 2019, and a new development on the PlayStation Store itself has reconfirmed that potential launch window. As spotted by a Redditor by the name of fetemucke, the online PSN Store in the US, UK, Germany, and Italy has now listed The Last of Us 2 under its "Coming Soon" lineup of titles, the rest of which all have a confirmed release date of 2019. For comparison, other PS4 exclusives Death Stranding or Ghost of Tsushima aren't listed within this section, but multi-platform titles like Mortal Kombat 11 and Control are. Given that Days Gone, the PS4's next big exclusive, is out in a few weeks time, Sony is naturally going to need to fill out the rest of its 2019 calendar with more titles for PlayStation fans to look forward to, so perhaps this subtle update is the first step of a marketing ramp up for Naughty Dog's apocalyptic shooter. PlayStation is skipping E3 2019 this year, but its newly launched web show, State of Play, could be the place where Sony finally announced a release date for The Last of Us 2. If that's the case, we should keep an eye on the next episode of the live stream sometime later this month. The Last of Us 2 has a good shot at becoming one of the best PS4 exclusive games of the generation. Check out which other titles made the cut, or watch Naughty Dog's Paris Games Week trailer for its anticipated sequel below.